Fiberlay xc cruising version with external taffeta protect fibers and films from abrasion and UV damage. Fiberlay is a lamination technology that provides unmatched flexibility in fiber orientation, accuracy of placement and superior lamination. Fiberlay xc fiber-aligned sails have fibers mapped directly along all load paths. Every fiber is load bearing, making a stronger, lighter and more durable sail. Taffetà can be incorporated on one or both side of the sail. Fiber paths laid to every reef and load point eliminate the potential distortion or laminate breakdown of conventional panel sails. 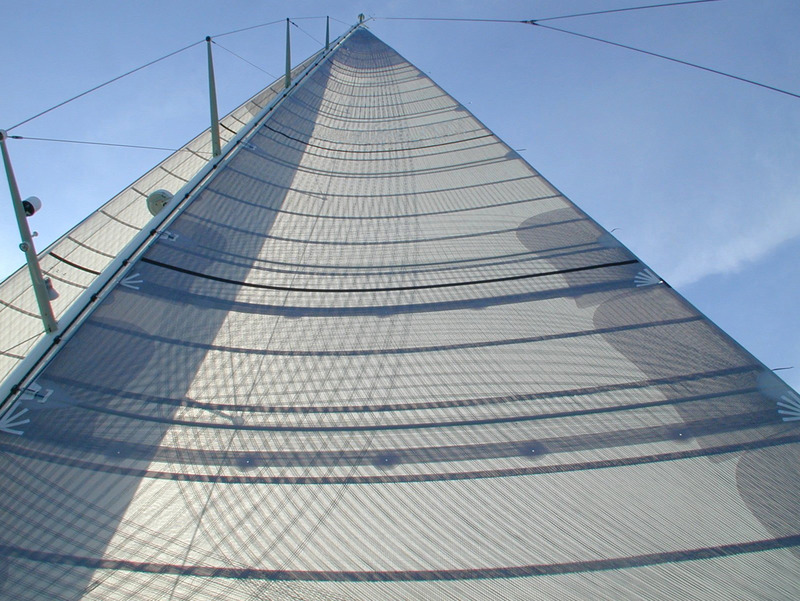 Sails fabricated in the conventional method by cutting and placing many separate panels, can only approximate the different load paths of a sail. Shape dynamics are designed in 3 dimensions for smooth shape transitions. Load paths are calculated and mapped to the performance specifications of each sail, ensuring accurate weight calculations and optimized lamination. Sections are laminated flat before shipping. Extremely high pressures ensure delaminating will not occur under sail. Anti-microbial coatings plus Ti02 coatings for more durable options. 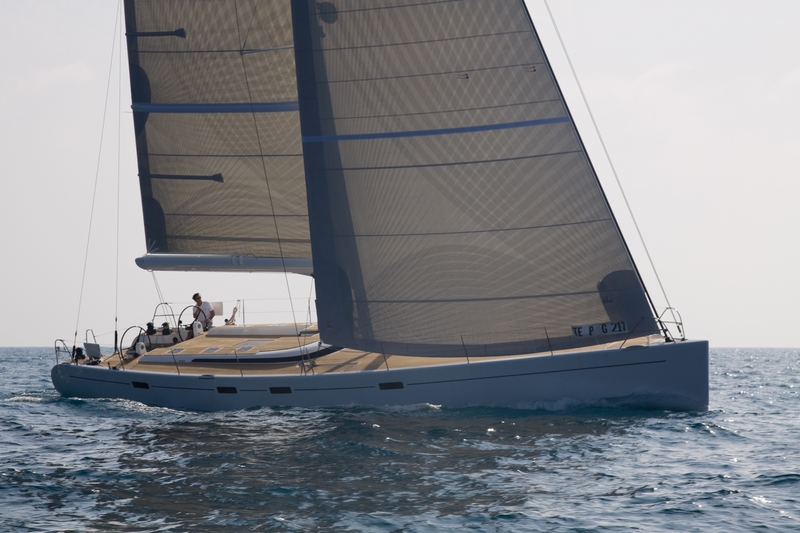 Fiberlay xc sails are 15% – 30% lighter than conventional panel sails.